The build phase benefits directly from knowing the intricacies of the design phase. "How can you build something if you don't know why it was designed that way?" The build of your new landscape or hardscape can be one of the most exciting events to take place at your home. We understand it can also be a stressful one. That is why our comprehensive Design Build process can be a true benefit to you. By having the same designer directly oversee the installation of your new landscape installation or hardscape construction you can be reassured that the true intent of your original concept will be carried out with great attention to detail. Your designer is responsible for overseeing material selection, ordering, and field quality control. This means you have only one contact through the whole project. Another benefit of Brown Design Group is that our construction crews are in-house employees whom we oversee everyday, giving us full control of the project’s schedule as well as quality control. Our crews are organized into three distinct teams including landscape installations, hardscape construction, and specialty construction. In addition to our in house crews, selected specialty contractors are also utilized for their trade specialties such as electrical and plumbing work. These specialty contractors will work alongside our in house crews, for overall project efficiency and quality. These teams also work together with the original project designer to provide a seamless, efficient, and complete project in a timely manner. Hardscape Construction crews are teams of skilled craftsmen specializing in, but not limited to, the use of natural stone, architectural pavers, concrete, and wood products. The quality of our work is never compromised by the timing of completion, although time constraints are always respected. Landscape Installation crews are trained in proper planting, soil amending, and fertilizing techniques. They are also conscious of the quality and health of a plant when completing installations. The overall goal is to provide a healthy and vigorous landscape now and in years to come. 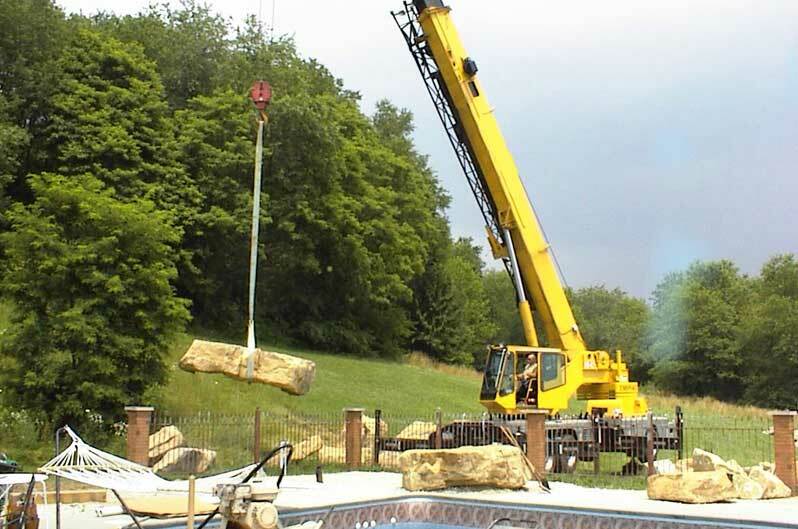 Specialty crews provide service and care, for all aspects of construction as well as the installation of low voltage lighting, drainage, irrigation, water features and pond construction, custom carpentry, and other detailed project requirements. Having these individual teams within our company allows each team to specialize in their portion of the project yet work together to create an efficient environment that benefits the quality and value of your project.